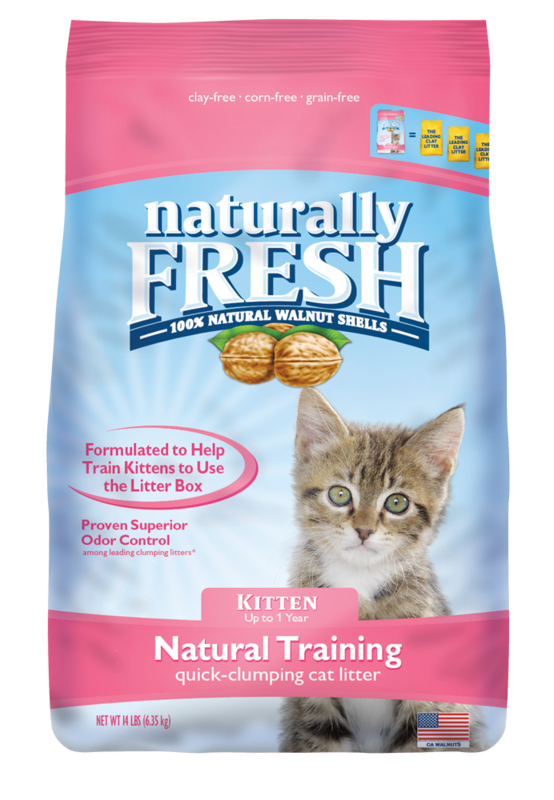 New pet parents … meet Naturally Fresh Natural Training Cat Litter. We took our one-of-a-kind walnut shell formula and added a powerful blend of natural herbs that naturally attracts your new kitten to their litter box. This quick-clumping formula provides superior odor control, absorbs three times better than clay litter, and is virtually dust-free. Plus, it’s toxin-free and non-GMO, so it’s safe for you and your kitten. 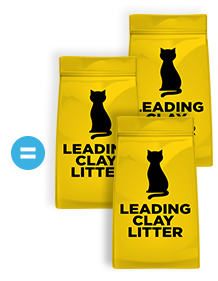 Fill a clean litter box to the recommended level of three inches of Naturally Fresh Natural Training Cat Litter. This quick-clumping formula for kittens forms an easily removable clump of waste when wet. Remove with a scoop and discard according to your local regulations. It is recommended that you clean and sanitize your litter box every 30 days to keep a fresh and healthy litter box for your cat kid. Based on a single-cat household, Naturally Fresh Natural Training Litter should last at least 30 days between changes, or as needed, for odor control. Start by placing one to two inches of Naturally Fresh Natural Training Litter in a clean litter box. 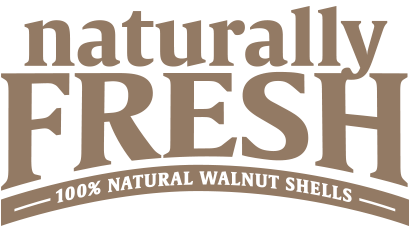 Top dress with enough of your current cat litter to cover Naturally Fresh Natural Training Litter.